Sonjoy is a 25+ year veteran in the media, financial and professional services industries. As Madison Logic’s Chief Product Officer, Sonjoy brings a wealth of industry and functional experience to the Madison Logic leadership team. 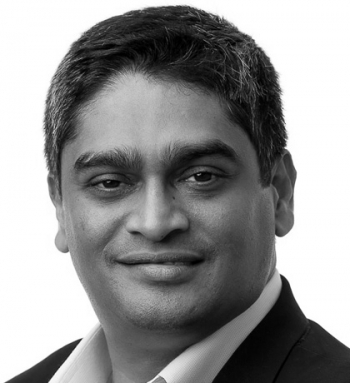 Sonjoy’s extensive background includes leading Xaxis’ Programmatic, DMP and Search platforms, Doubleclick’s Rich Media, Mobile and Video platforms, Accenture’s Live and On-Demand Video Streaming platform, as well as the definition and growth of product management organizations for companies like Deloitte, Donovan Data Systems, and TheLadders.com. Sonjoy attended New York University’s Stern School of Business and spends his off hours with his wife, raising their 2 young children (and still praying for a good night’s sleep).